Hey everyone! 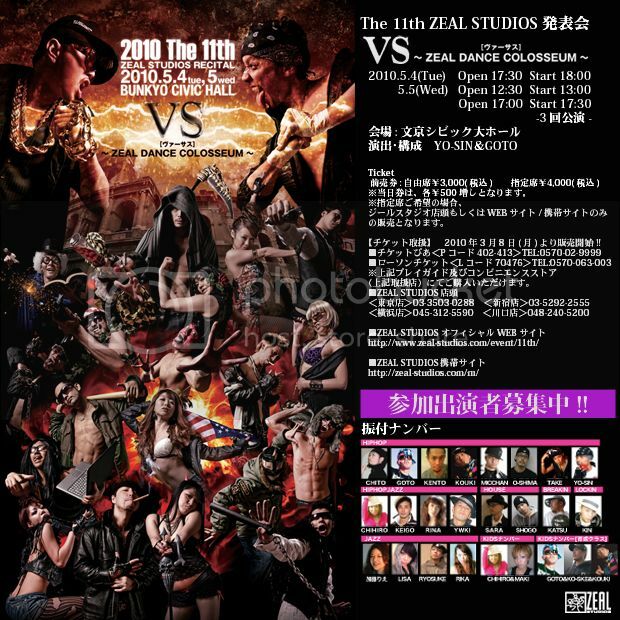 So lately I've been crazy busy...started dance rehearsal for the golden week performance. I am going to be doing two numbers this time. :) Kento and YWKI numbers. Hip hop for Kento and Jazz Hiphop for YWKI. First time doing Jazz Hip hop, hope I do alright. Started practicing for both, and going to be really busy from now on. I hope those who will be around in the Tokyo area can come cheer me on! <3 Here are the details! 4000en for chose of seating. On the day of performance it will cost 500en more.